The ultimate first-person-shooter series on smartphones and tablets is back, setting a new benchmark for the FPS genre on mobile devices. Launching July 24th, Modern Combat 5: Blackout will be available to download from the App Store and Google Play for £4.99. The story beings in Venice as protagonist Phoenix is sent on a special operation to secure WMDs from a well-armed terrorist group. Through the course of the action the plot then switches to Tokyo where Phoenix has to fight amidst total anarchy while trying to convince his allies to accept an uncomfortable secret. Navigate beautiful settings from both cities for an action-packed, thrilling ride. 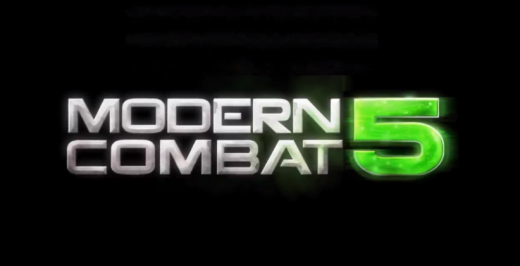 Modern Combat 5: Blackout features a unified progression system which integrates single and multiplayer into one cohesive gaming experience. Each single player mission or multiplayer match will earn experience points that go towards levelling-up soldier class and mastering new weapons. The game offers four soldier classes which are playable across single and multiplayer: Assault, Sniper, Heavy and Recon. Form squads with friends or other players and compete globally to test your individual and team skills in high powered 6 VS 6 multiplayer squad matches. Communicate with other players to plan your strategy using global and squad chat and call in military support using Kill Streak multiplayer packs. If you’re looking for some alone time, the single player campaign features engaging, fast paced story missions and all new Spec-Ops missions.